Some Mexican lawmakers believe that the creation of special economic zones in Mexico (SEZs) can soften the blows to the country’s budget that result from its heavy dependence on oil revenues. 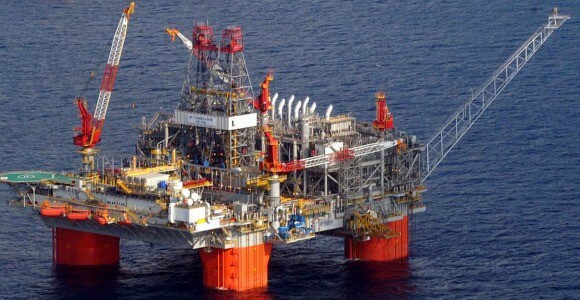 Due to the precipitous drop in the per barrel price of oil on world markets in early February, Mexico’s Congress was left no alternative but to trim its 2015 budget by the significant sum of US $8.4 billion. The fall in the price of crude oil from a high of more than US $110 a barrel to a low of US $44 during the first month of they year led some in Mexico’s Congress to consider ways by which Mexico can minimize the impact of such fluctuations in the price of energy over the medium and long terms. Lourdes Medina Valdez, a congresswoman from Mexico’s conservative PAN party, has recently suggested that Mexico may be well served by setting up special economic zones (SEZs) in Mexico, such as the kind that have been established in countries like China and India. SEZ’s, according to Congresswoman Medina, would give impetus to regional economic development by offering companies that set up operations within their bounds special fiscal incentives. Companies that the government would seek to attract as residents of special economic zones in Mexico would be those involved in manufacturing for export, as well as for the domestic market. Additionally, other companies that would be offered tax incentives to locate in Mexican SEZs would include international logistics firms, and those involved in the exploitation of Mexico’s mineral resources. The PAN congresswoman points out that creating special economic zones would take some modification of existing laws by the Mexican Congress as a whole. These new laws would waive the payment of the country’s sixteen percent value-added tax (VAT) for both exporters and sellers into Mexico’s domestic market , as well as would remove any taxes associated with export operations by firms located within an SEZ. Companies could also sell to each other within special economic zones in Mexico with fiscal incentives, in addition to being able to do the same across those specially designated zones that are separated by geography. In terms of Mexican corporate income tax, Medina’s proposal calls for companies located in special economic zones in Mexico to pay between twelve and sixteen percent. These figures are significantly lower than the country’s current thirty percent rate of taxation on corporations. In addition to the aforementioned fiscal incentives the PAN official also proposes that an exemption on Customs related taxes should also be granted to those companies that locate operations within Mexican SEZ’s. Both the House of Deputies and the Senate will introduce SEZ legislation.